Like many golfers of a certain age, this one views the game’s ever-burgeoning technological advances with ambivalence. No argument that new materials and equipment design have allowed players across the board to hit the ball farther and straighter. New course-mapping software has changed the way we approach strategy; and computer-generated analytics have revolutionized club fitting and swing coaching. At the same time, I don’t need a precise calculation of my smash factor to understand that it’s less smash, and more splat, every season; that Iron Byron has morphed into Nylon Byron. What’s more, even though the technological sophistication is often dazzling, it sometimes seems less and less consonant with golf’s most alluring aspects — a test of raw athletic acumen, combined with fellowship and recreation — at least for us amateurs. So it’s inspirational to chat with two guys in roughly the same cohort, age-wise, who are not only unfazed by the intricacies of technology but have built distinguished careers on it: Barney Adams, CEO of Breakthrough Golf Technology (BGT) and Mike Zisman, President / CEO of Golf Genius Software. The underlying theory seems sound: Putter shafts have failed to match enormous technological advances in mostly heavier putter heads, resulting in vibration, deflection and inconsistent performance. 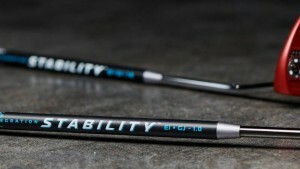 The Stability shaft is nearly identical in weight to steel shafts — it just looks cooler — and fits any putter head. Of course, the refreshingly ebullient Adams concedes that the golf equipment industry is “a marketing-driven business, not a product-driven one” — he was once named Manufacturing Entrepreneur of the Year by Ernst & Young — but he’s also clearly fascinated by the potential of new engineering. This writer’s unscientific test run with the Stability shaft — paired with a new Rife Hero head, also cool-looking — turned into a running gag for my foursome: Not only did I join the 90 percent of users cited on BGT’s website who report improved putting, I concluded that the 56 percent more made putts also touted was too low. Will it last? Dunno, but it will continue to look really great. Golf Genius Software’s Mike Zisman may not have attained the household-name status of Adams, but chances are just as good that you’ve benefited from his technological prowess. Founded in 2009, the company’s reach in managing tournament golf has expanded astronomically. The weekend preceding my conversation with Zisman, the company handled the logistics for some 2,500 tournaments, including 100,000+ rounds of golf played. In the past year, Golf Genius Software has powered almost 18 million rounds of golf in 38 countries, in collaboration with almost 8,000 golf clubs and state and regional associations, including the USGA. The company’s staff of 62 includes 24 PGA professionals who arrange everything from real-time scoring for tournaments and multi-round pairings of participants to custom trip websites to keep traveling golfers current with photos, message boards and other trip data. Private clubs comprise about 75 percent of Golf Genius Software’s client base, with the rest being public facilities, helping to schedule leagues, club championships, and one-off events. This approach — the Golf Genius tag line is “Less Work. More Fun. More Revenue” — allows course management to cultivate additional revenue streams and spend more time with their golfing customers, less on paperwork. But while large-scale tournaments represent the biggest chunk of the company’s profit profile, it’s the buddy-trip expertise that ought to prove of greatest interest to beleaguered “captains” responsible for arranging such extravaganzas. “We don’t help you decide where to go,” observes Zisman, himself an experienced golf traveler and a member at Merion, Saucon Valley, and Sea Oaks. Everything else, though, including pairings, real-time scoring, and even expense accounting for a group trip, can be handled by a Golf Genius specialist for a $250 fee — a bargain, as anyone who’s shouldered such responsibilities can attest. 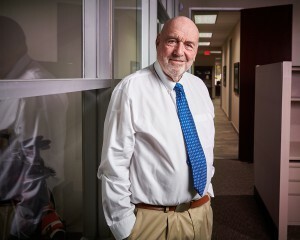 With a Ph.D. in Decision Sciences from Penn, a stint as a professor of computer science at M.I.T., and other extensive experience in software development, Zisman isn’t exactly your average golfer. Like Barney Adams, however, it would be a pleasure to find yourself paired with him on the first tee. They make technology fun. And it’s not just for kids anymore.